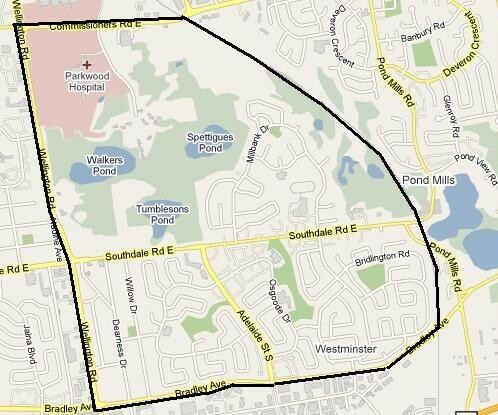 The Westminster Neighbourhood is defined as Wellington Road to the west, Commissioners Road to the north, the former L&PS rail line to the east, and Exeter Road to the south. 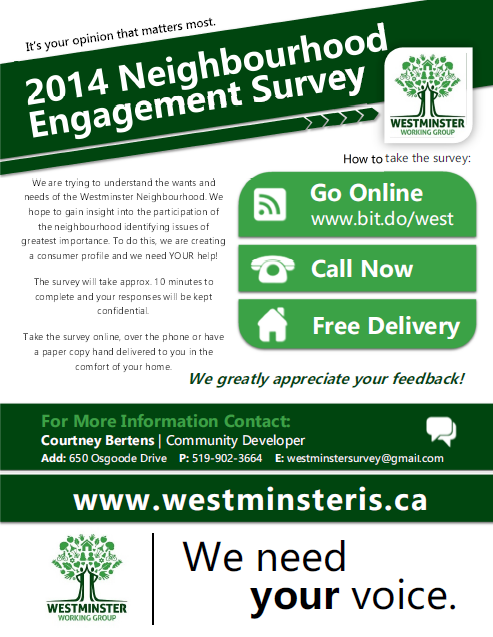 Currently, the Westminster Working Group is trying to understand the wants and needs of the Westminster Community. We hope to gain insight into the participation of the neighbourhood, identifying issues of greatest importance. To do this, we are creating a consumer profile and we need YOUR help! The survey will take approx. 10 minutes to complete and your responses will be kept confidential.